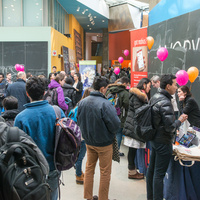 Come by to learn about the many entrepreneurship and innovation resources available on campus this spring and summer: classes, sources of funding, mentoring programs, makerspaces, prize competitions, and more. As an added bonus, free pizza will be provided for participants! Plus, free swag!